MUMBAI, MAHARASHTRA, INDIA, October 29, 2018 – More than 300 new books are released every day in India and the authors are finding it difficult to garner attention to their work because of the clutter. The high decibel political, business and entertainment news makes the situation even worse for authors trying to compete for the mind space and eyeballs. To cater to this need, India’s first full-service Book Public Relations brand, Bookpr.in, was introduced in 2016. A host of PR services for both pre-launch and post-launch of books has been successfully offered under the brand since its launch. Authors are provided full or partial services based on their requirement and budget. Bookpr.in has implemented more than 30 book promotion campaigns for both fiction and nonfiction books. There are other companies offering partial PR services but Bookpr.in brings in a lot of innovation, analytics, personal touch and of course wealth of experience to the campaigns. 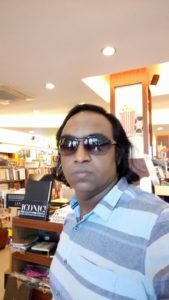 “The idea of a full-fledged PR service for books germinated after we approached many PR agencies for our books and authors”, says Joseph P Chacko, Publisher at Frontier India Technology. “All the PR offers were either product or corporate oriented. But books required a different approach. So we tried some known methods and evolved some new methods. A mix of PR and Advertising helped to cater to our objectives. These learnings are now being offered to other authors via a marketing company Itail Agencies LLP under brand bookpr.in,” he adds. Initially, the effort was to provide Book PR services to only traditionally published authors and as the experience grew the agency began offering the services to self-published authors too. Itail Agencies LLP offers a full spectrum of publishing and PR services for self-published authors. Traditionally published authors can choose specific services like manuscript editing or PR services or book distribution services provided by the company. Self-Publishing services are offered under the imprint BruteGorilla. The company also offers assisted publishing offers to a select few which is a hybrid between self-publishing and traditional publishing.